"Visting Houston"? Why, whatever do you mean, Kim? You are one of the fortunate ones who lives there! Welcome to the first edition of a new series in my blog! 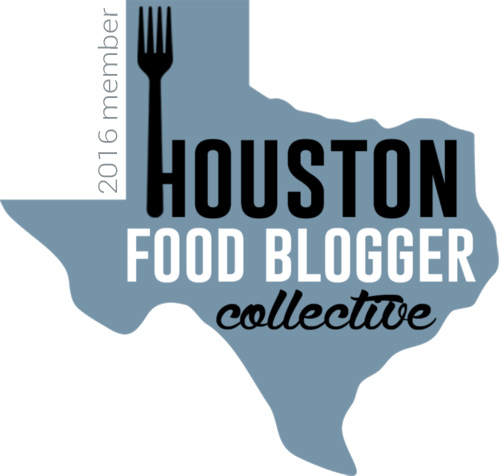 In "Visiting Houston" posts I will talk about where I take friends and family who are visiting Houston from out of town. Some of it will be about activities. Most of it will be about food and restaurants (#duhhhh). 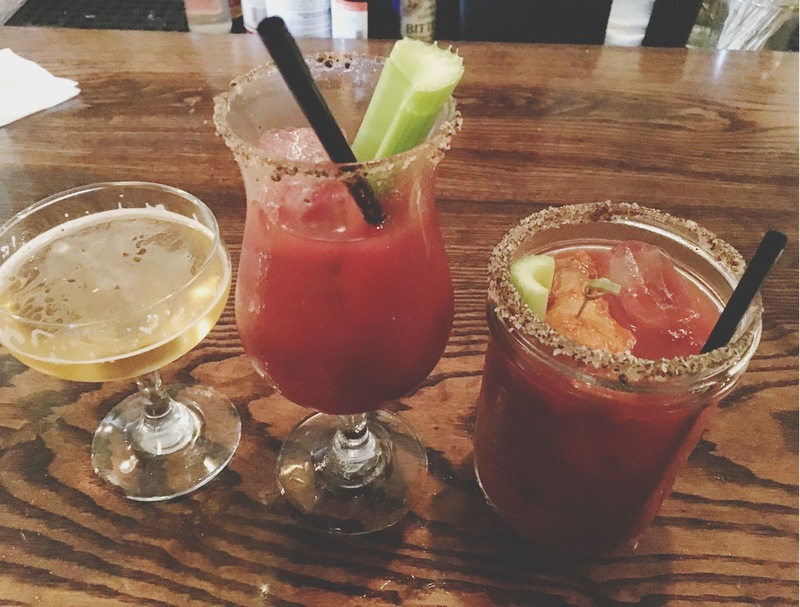 If you're ever wondering how to fill up an entire weekend with Houston shenanigans, then these posts are for you! 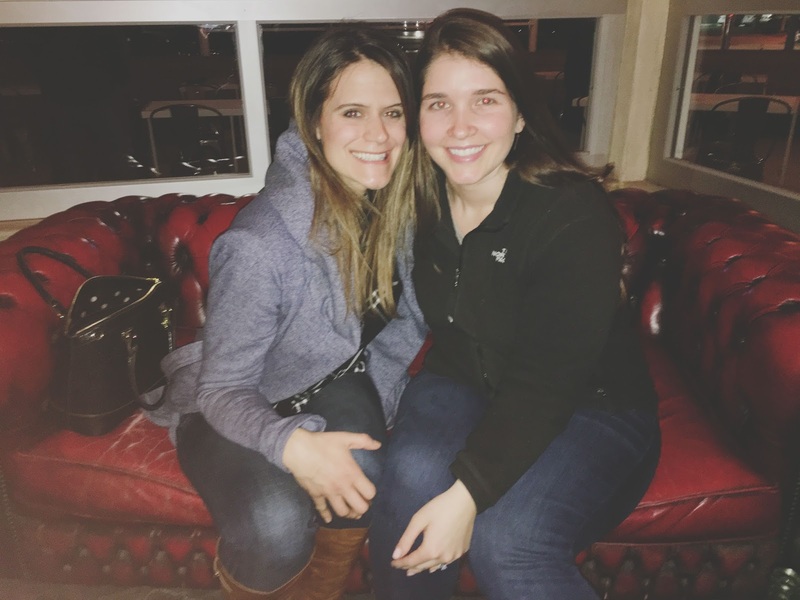 The inspiration for these posts came from this past weekend of fun with my awesome cousin-in-law Amber, who was in town from Chicago! Added bonus? We got to celebrate her 30th birthday with her on Sunday! So how did her weekend of visiting Houston go..........? 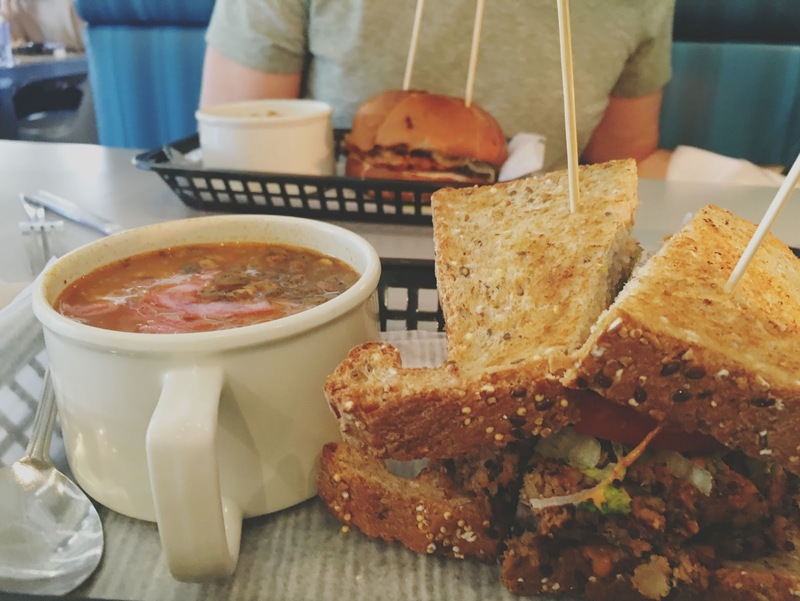 While their truffled egg salad sandwich is still my favorite thing on the menu, that day I opted for their veggie burger with a side of vegan chili, which are also excellent food options. That day, the crusts on my bread (I ordered whole wheat) was a little tougher than normal, but everything else was fantastic! Amber fell into deep love with the restaurant's chicken lemongrass soup. 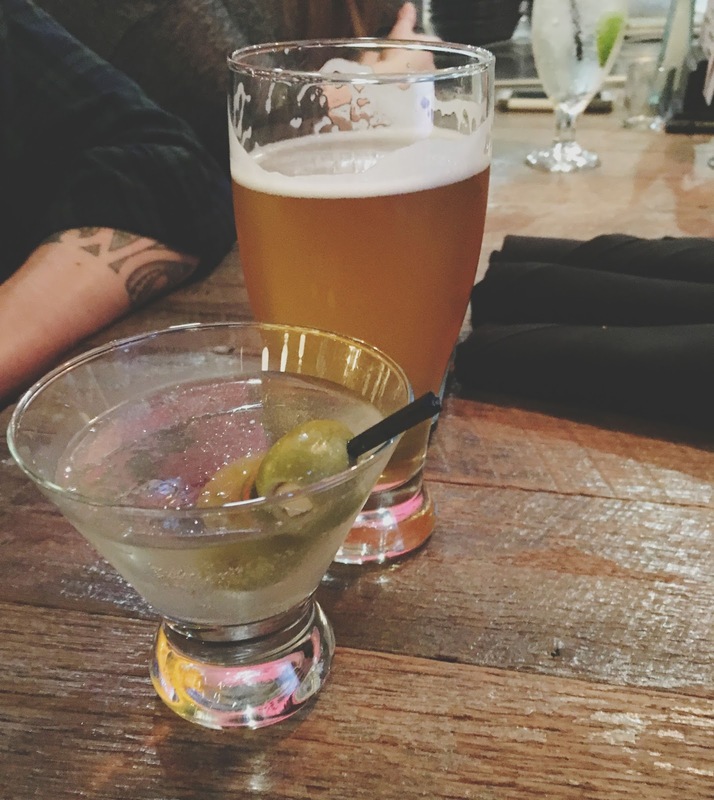 Prior to dinner, the whole family (Amber, Dad, Mom, Jon, and Emily) had drinks at Local Pour, a bar/restaurant located in Houston's River Oaks shopping center. 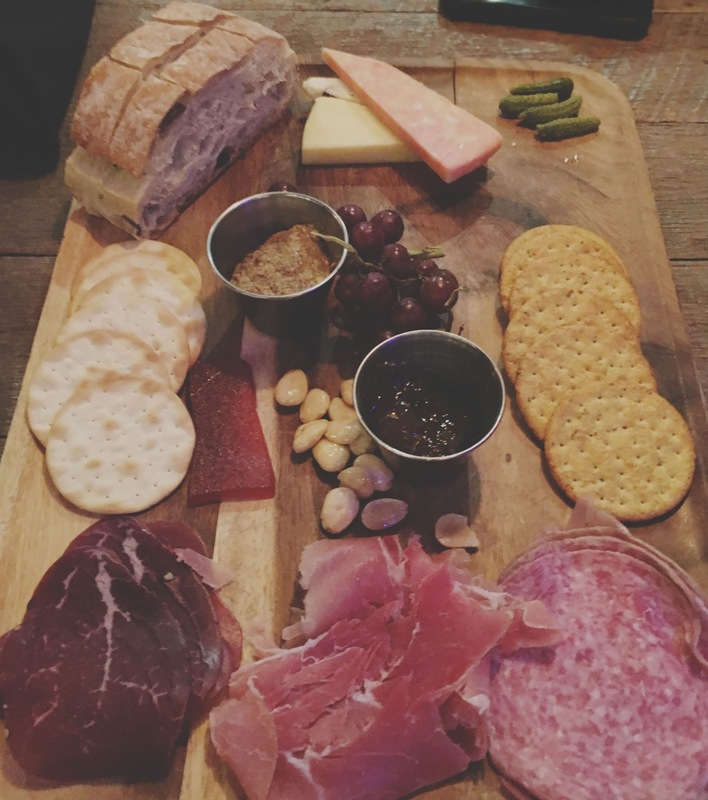 (Jon also ordered us their bomb-diggity meat and cheese plate because he's a growing boy and forgot that we'd soon be scarfing down food from a PIZZA BASKET in a little bit). After drinks and apps, we walked over to the Italian restaurant La Griglia for dinner. 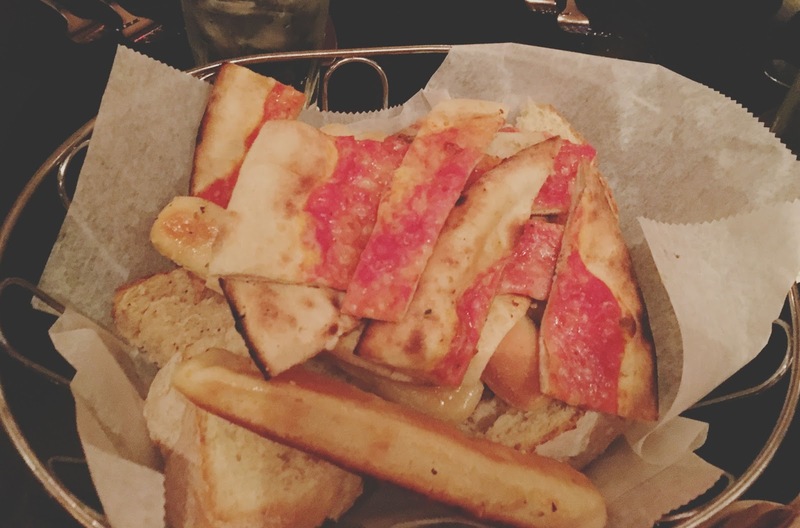 ^ (Aforementioned pizza basket, aka heaven truly does exist). 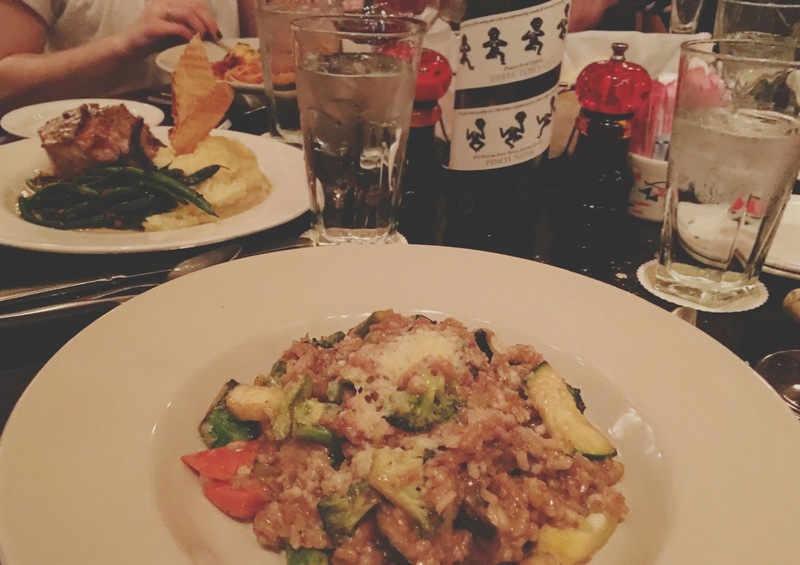 I asked them if they could throw together some sort of off-menu vegetable risotto for me, and they happily obliged! It was quite tasty, and I certainly appreciated their great hospitality. 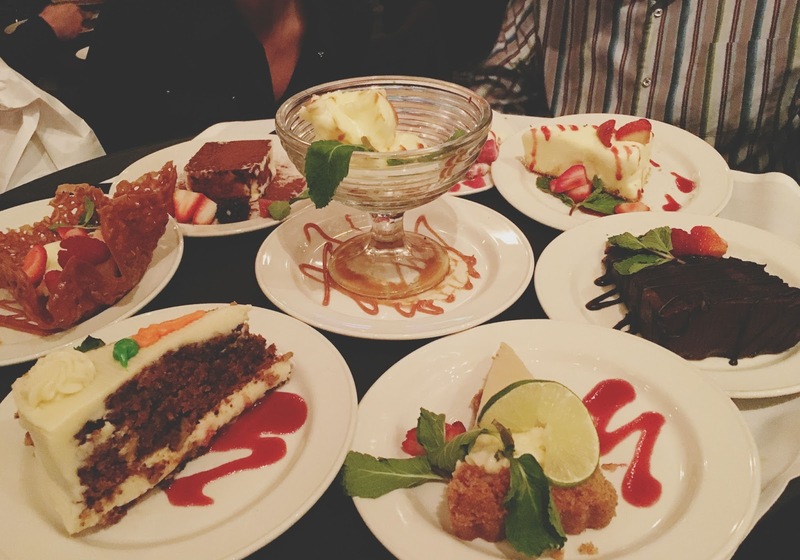 After dinner, the restaurant's servers present you with a giant dessert tray, and we were like "ugh we can't we are so full from all of the food okay we'll order three." Saturday morning Amber and I worked out for a little bit to offset all of the food I was forcing down her throat. 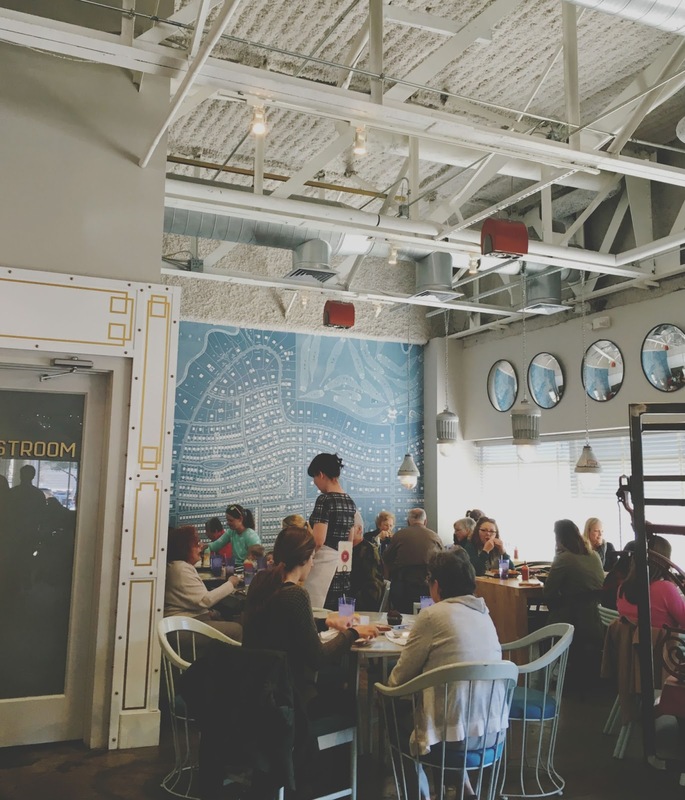 After that, we decided Down House would be the perfect restaurant for brunch! 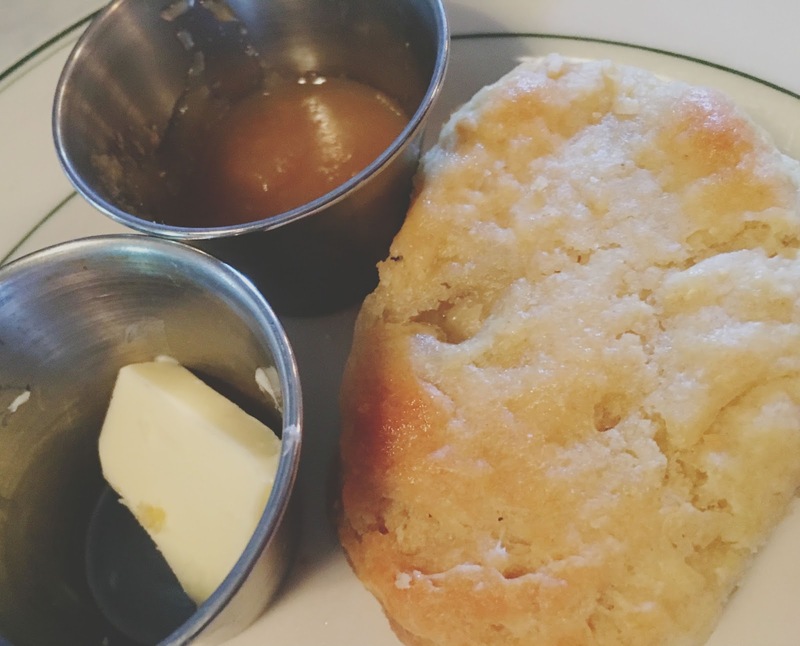 We had the most buttery, flaky, dense biscuits in the world to start, with an intoxicating apple jam. 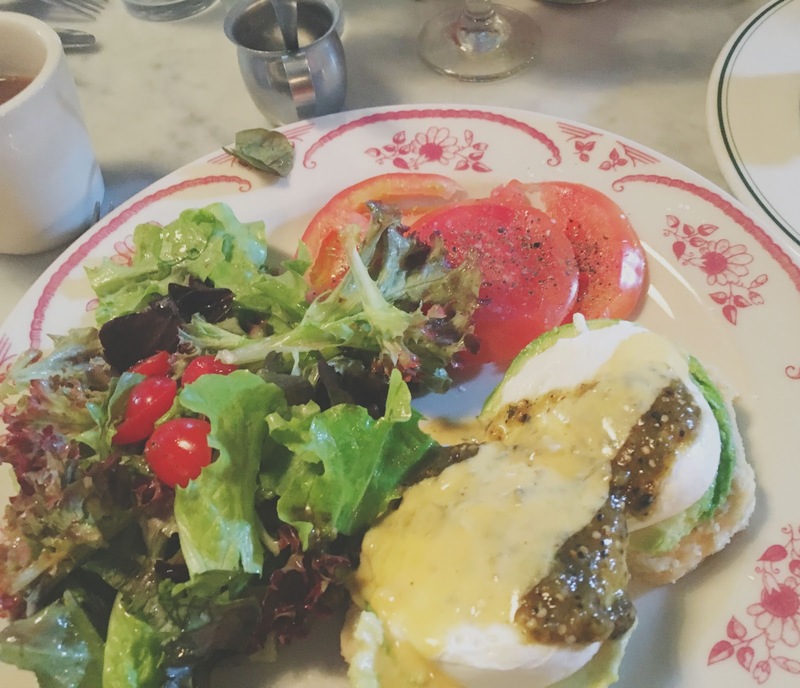 Then I opted for the restaurant's eggs benedict (atop more of those heavenly buttermilk biscuits) with avocado instead of Canadian bacon. Our incredibly sweet server surprised Amber with a birthday treat of bourbon pecan ice cream (yes you read that correctly and probably died at the mere thought of it), paired with wonderfully warm, gooey, chocolate chip cookies (seriously, I'm submitting them into the next Cookie (C)rumble). 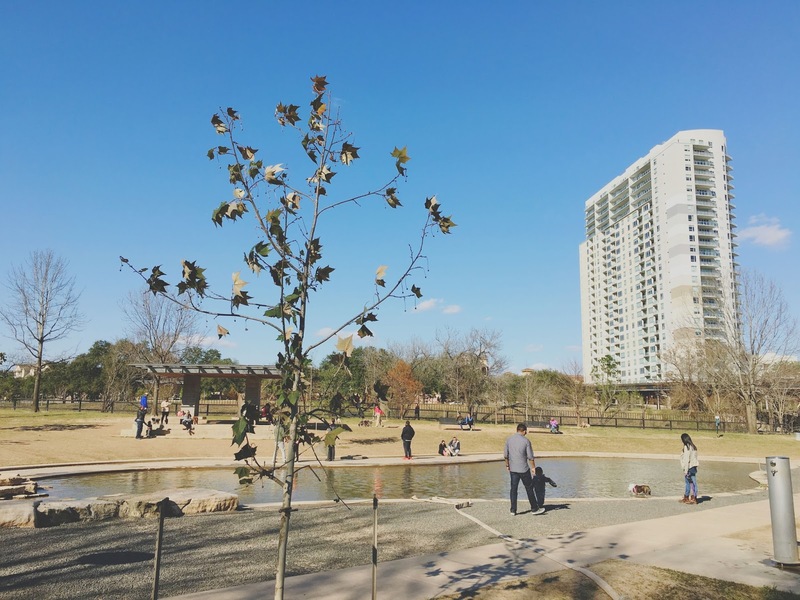 After brunch, we ventured over to Rice Village for a little bit, then walked the trails in Buffalo Bayou Park. 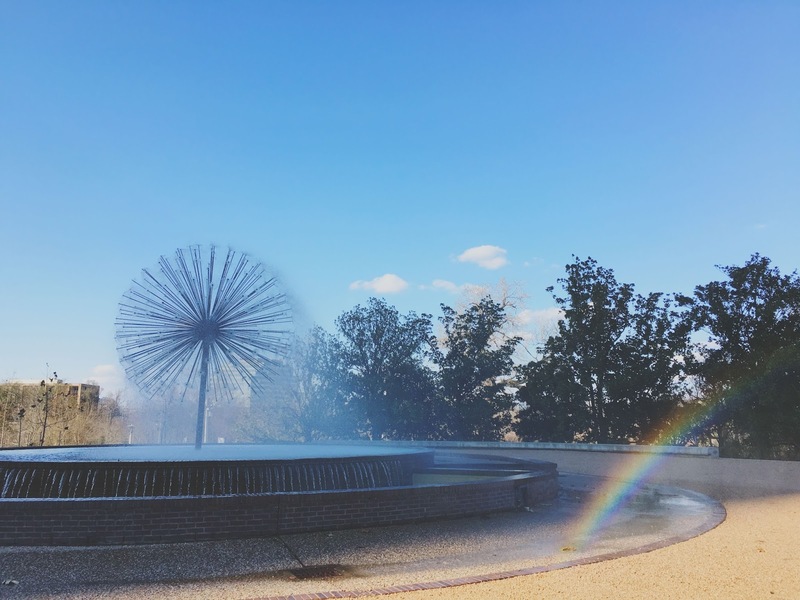 And by "walked the trails in Buffalo Bayou Park," I mean, "watched dogs run around in the sunshine for about 30 minutes." Dinner rolled around, and the whole family from Friday, plus Jon's mom, stepdad, and nephew joined us for the Best Mexican Food in Houston, aka El Tiempo on Washington Ave! We all indulged in the restaurant's spectacular chips and queso, and for my main course of food I ordered the vegetarian fajitas (something I'd discovered/fell in love with during my Whole 30). 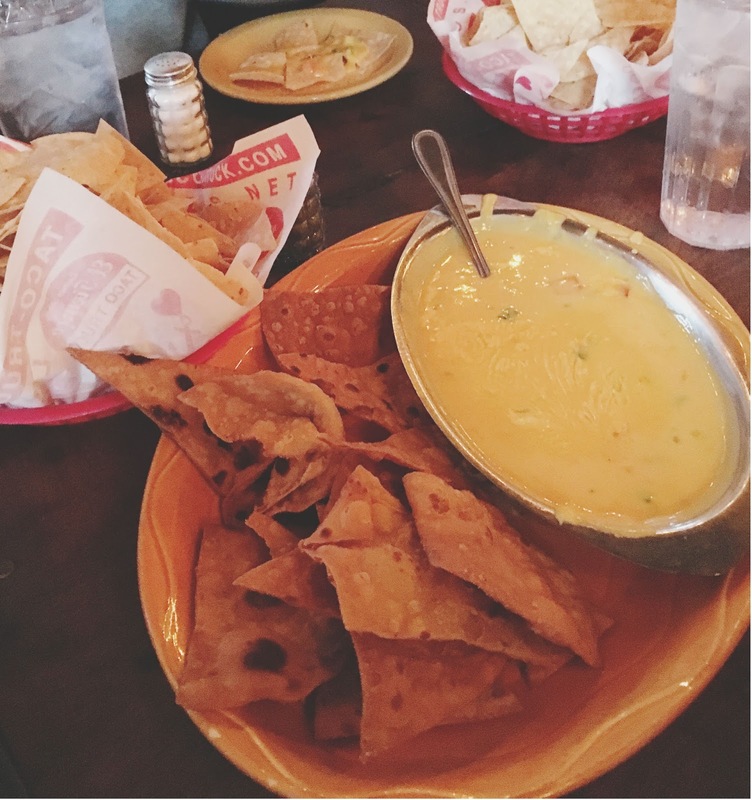 Amber - who had never been to Texas before (and therefore had never had real Tex-Mex) - was absolutely floored! 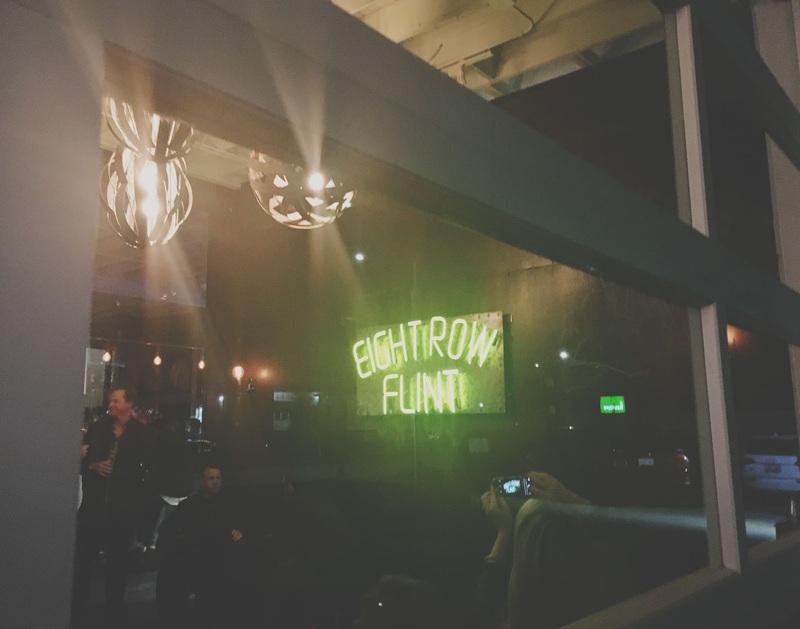 After dinner, Amber, Jon, Emily, and I enjoyed a nightcap at Eight Row Flint. 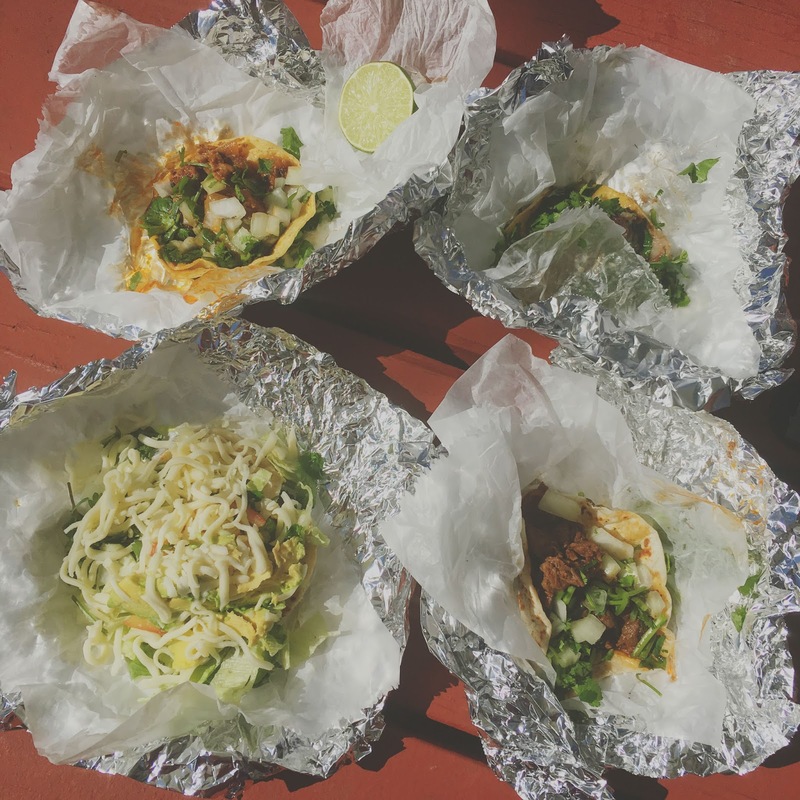 On Sunday we decided to have a taco-off, starting with breakfast tacos at La Guadalupana. 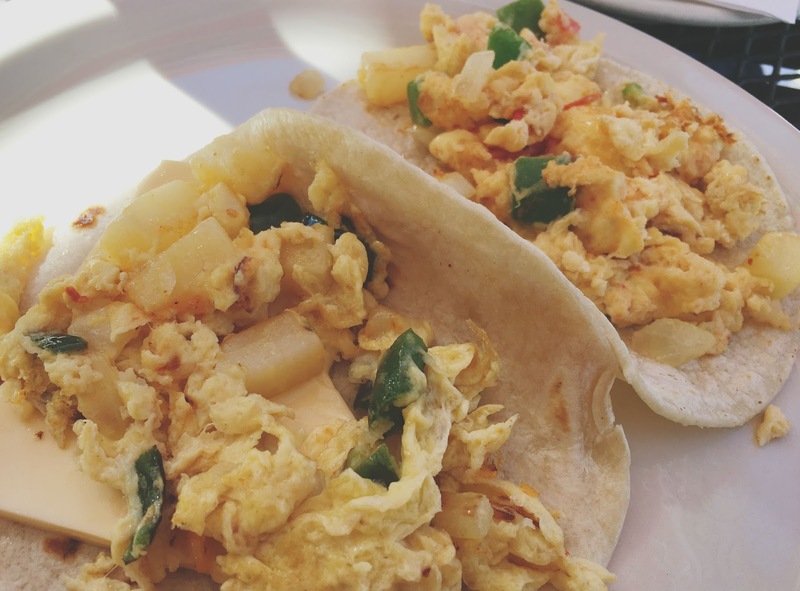 These are easily my favorite breakfast tacos in all of Houston. I had a taco especial with no meat (eggs potatoes, onions, chile, and cheese) and a taco a la Mexicana with no meat (eggs, onions, jalapenos, and tomatoes), and both were fantastic. While these tacos are small, they are hella authentic and packed with flavor. 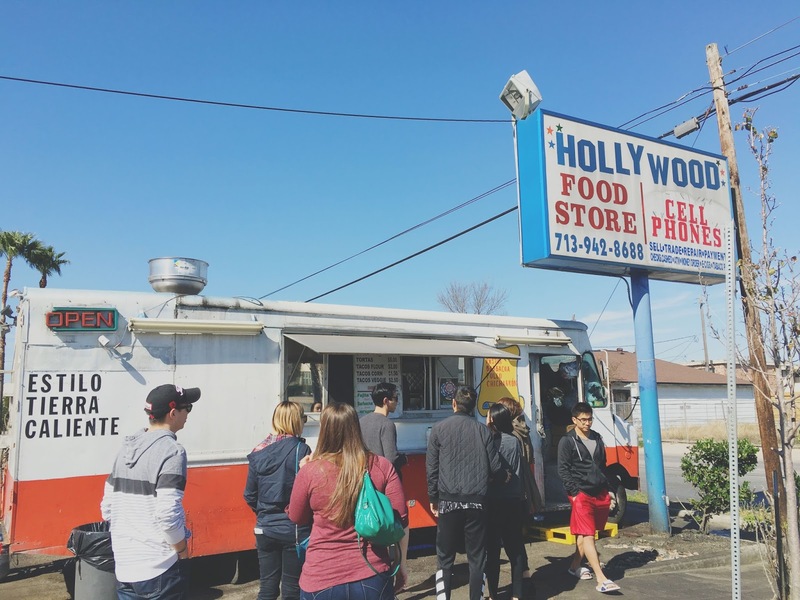 After that, we stopped by the taco truck Tacos Tierra Caliente, located outside of West Alabama Ice House in Houston's Upper Kirby area. I figured their veggie taco would have cooked veggies, but it was all raw, so my taco was a bit disappointing. I need to go back and try one of their actual breakfast tacos to make a more accurate assessment. Jon, Emily, and Amber, on the other hand, all loved their meat-filled tacos, and declared Tierra Tacos Caliente the reigning champ! 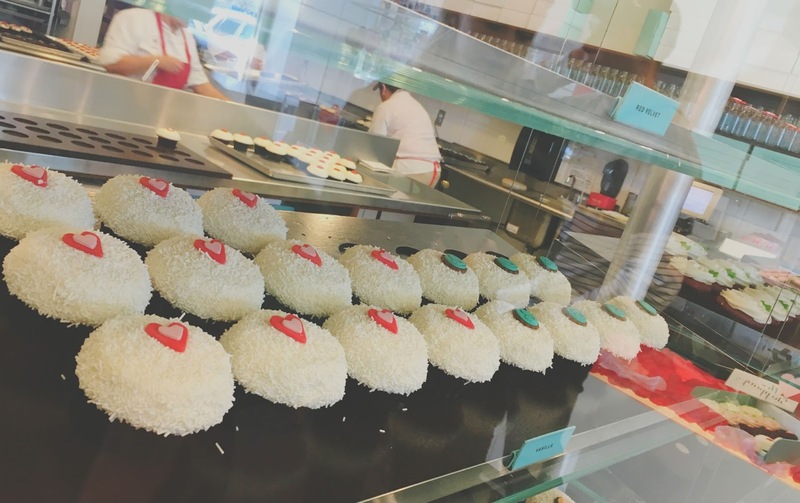 Prior to coming into town, Amber had texted me, "Have you ever heard of a place called Crave Cupcakes"? After cupcakes, we went home, prepared food for a Super Bowl party appetizer contest (Jon won with his cacio e pepe mac and cheese!!!) and enjoyed the rest of the day with our friends. It was a wonderful weekend, made awesome by getting to spend time with Amber and being able to show her some of my favorite places (and food) in Houston! YUMMY to all of this! That taco truck and beers at the icehouse on a pretty day is one of my favorite indulgent activities!